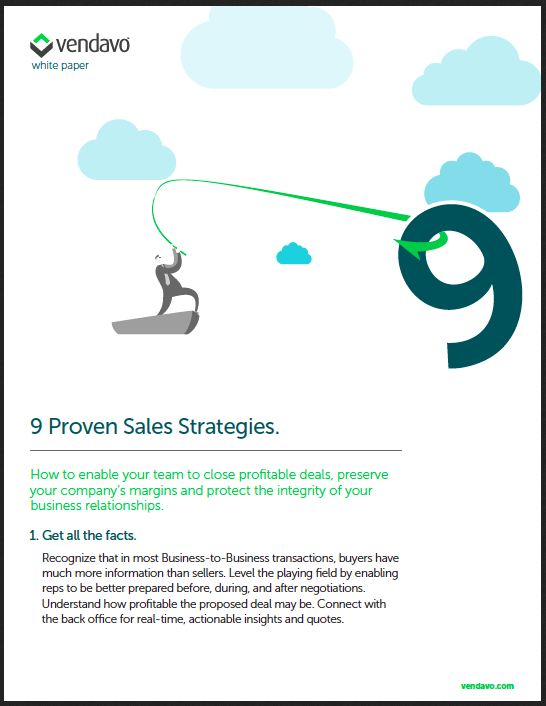 Enable your team to close profitable deals, preserve your company’s margins and protect the integrity of your business relationships. 1. Get all the facts. Recognize that in most B2B transactions, buyers have much more information than sellers. Level the playing field by enabling reps to be better prepared before, during, and after negotiations. Understand how profitable the proposed deal may be. Connect with the back office for real-time, actionable insights and quotes. 2. Know the price that maximizes your chances of winning while maintaining profits. A sale that gives away profit with nothing in return is a wasted opportunity. Understand that there’s a lot more than price, and everything is negotiable.